The Gatekeepers of Disruptive Behavior aka The Disco 2 aka Michael Rapaport & Gerald Moody are here on the Tuesday I AM RAPAPORT: STEREO PODCAST to go Hard Body Karate and discuss: NBA East/West Conference Finals, Gerald no longer being Co-Hostradamus & having to pay up for a bet, Legalized Sports betting in the USA, Starbucks opening their bathrooms to everyone thanks to the race mafia, how Aiello feels about loud people in Starbucks, a sexuality expert who thinks you should ask a toddler if you can change their diaper, Sick F*cks of the Week & more. 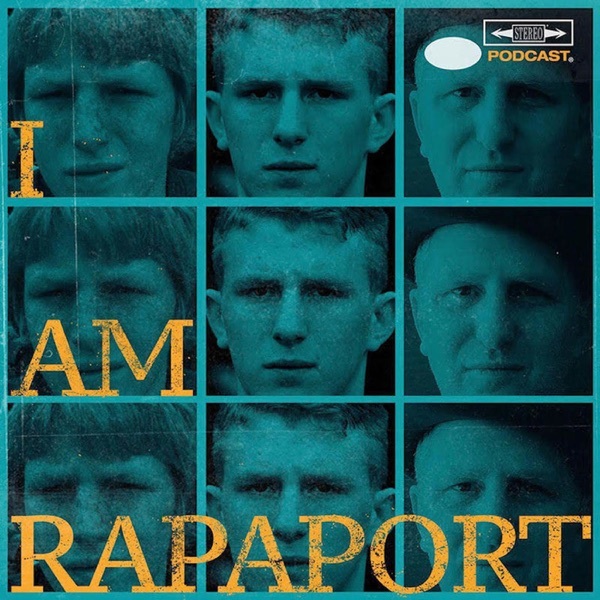 Then it is an honor and a privilege to have Festus Ezeli (48:20) (NBA Champ on the 2015 Golden State Warriors on the I AM RAPAPORT: STEREO PODCAST with Michael Rapaport to discuss: #RebuildingTheBeast and making his comeback to the NBA at 28 years old, Cartilage Transplant from a cadaver, how he feels today, mindset during recovery, coming back next season after missing 2, graduating High School at 14 in Nigeria, Coming to America, starting playing basketball at 14 in the USA, going to college at 16 & grey shirting, making Top 150 prospects out of nowhere, Scholarship offers, choosing Vanderbilt, becoming a NBA prospect, being drafted by the Golden State Warriors, Draymond Green, first memory of being in a NBA game with Kobe Bryant and the Los Angeles Lakers/having to play it cool, 2012 Golden State Warriors Draft class, biggest trash talkers he faced, winning 73 games with the Golden State Warriors, being coached by Mark Jackson & his Klay/Steph proclamation, playing Denver in the first round, 2014-2015 Championship season with Coach Kerr, LeBron James, being down 3-1 to Oklahoma City & winning, being up 3-1 and losing to Cleveland, Leaving Golden State and signing with Portland, 2018 NBA Conference Finals Predictions & a whole lotta mo’! This episode is not to be missed!